June 2013 Please click on the links to read the full story! Enjoy this month’s newsletter as we take you to exotic India, glittering Hong Kong, and even icy Canada – and of course, there’s no place like our home in Langkawi, Malaysia! 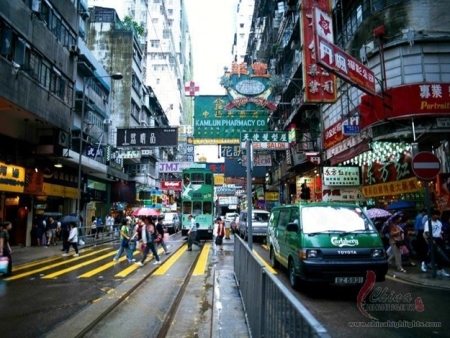 Exotic and oh-so-glamorous, Hong Kong glitters! Our friends from HK and China raised some very interesting questions about piracy, animal tests, health, and the future. ‘Like’ us on Facebook! There’s our main page at Paul Penders International, there’s the Paul Penders Blog page, and there’s probably even a PP FB Page for your favorite country! Take a look at Going Social: PP on Facebook. Thank you for your valued support to our specialized company which enables us to continue creating the highest quality natural beauty products available to consumers world-wide. Subscribe to our blog and join the conversation on Facebook and Twitter. Please write us any time at info@paulpenders.com. issues with images or text not appearing correctly. Join the conversation! Follow and share with Paul Penders Int'l on social media! A range of short blog stories will follow in the next several weeks about beautiful long old-fashioned train journeys across Europe. The goal? To find the world’s very best natural and organic cosmetic ingredients. For Paul Penders products, the ingredients must be simply the ultimate in quality. I go out myself regularly to search for them wherever in the world I may happen to be, and… by train! China, Southeast Asia, India, North America, Eastern Europe, or as 5 months ago and again this month, Southern Europe. My last travel experience was in Italy. I was searching for the best olive oil and actually found it! Sitting in the fast train from Paris to Rome! In our cabin, the right person appeared; he was sitting right across from me in a comfortable chair. We started talking (what else one can do on a train in Italy!) and I discovered he owned a small organic vineyard. Then he mentioned he had a small organic production olive oil farm – family-owned in Sicily! We visited him a few days later. It turned out to be the best olive oil we could ever find and…. we made great new friends as well. As I write this blog in May 2013, I am still traveling, now in Marseille, France – importantly to me, it’s the largest natural soap capital in the world. Our search for the newest and best ingredients has brought us to France and Spain on this journey. The objective this time is to find the very best essential oils. We found some very intriguing places in Southern France; near Avignon, there is in a small town, a “Musee de la Lavande.” Visiting the museum was a real pleasure and a learning experience as well. They gave us insider information about the highest quality organic lavender and lavender essential oil, as well as the growing and production processes. We journeyed on to Spain in search of sea plankton at the Atlantic coast, as described by a friend from the US but I couldn’t find the source. However, there I also looked at rock mountains that yield mica the color of gold. This mica is an ingredient we can use in our natural color cosmetics. How much more organic can that be? While in France, I talked to upscale hair salons in Paris and Aix-en-Provence about washing hair naturally. We are developing a totally new and exciting natural shampoo; the best I have ever made in 40 years in the natural beauty industry. It has two separate layers and the bottle must be shaken before use to mix the ingredients. It is simply the best for moisturizing hair. An unusual feature, at the bottom of the container, you will see a little mineral mud that comes from a jungle waterfall in Malaysia. We got wonderful reviews of the new shampoo from a selected test panel from several different countries. Dr. Gatot is our experienced senior cosmetic chemist who is working hard on the many little details involved in making the final formulation. Many stories emerged on this trip. In between the 6 weeks of traveling, I also visited some of my family and friends as well. And there is a real story in itself about the train! To me a Eurrail pass beats flying, hands down. In one of the next blog issues, I will tell you more about this amazing rail pass and how to take advantage of it – it’s luxury 1st class traveling and very cheap actually! All these interesting experiences have had the same ultimate goal – finding better quality cosmetic products, more natural ingredients, and ultimately the best skin care, hair care, body care and mineral beauty products possible. We never have wanted to be the largest company but we are trying to be the best! Lastly, I am asking you to rate us — how are we doing? Do you read most of our blogs or only seldom? Do you like the topics or not? Would you like to have other topics covered? We always love hearing from you. Thanks for your trust in our 100% vegetarian natural herbal cosmetics made with organic ingredients and proudly carrying the official Halal certificate for each and every one of our products. Staying as an SME – small to medium-sized business — means that we retain a lot more control over who we are and of the quality of our products. Staying small means we stay aware of the process of preparing a product for sale every step of the way. It’s the best way I know to keep the quality high. I personally know where ingredients are sourced and how our chemists develop and process the formulas. I know the people involved at every step of the process from source to manufacture to shipping – and we all get to know YOU — the people who buy the products. The Paul Penders company has had a number of opportunities to “go corporate” and become a major player in the multi-million dollar beauty industry. We’ve been covered in television infomercials and by the world press. With Paul Penders products, we wish to reach out to touch hearts and minds. To do that, with integrity and honesty, we believe we must make our products with the greatest care and the deepest respect. We truly believe in creating highest quality natural beauty products that are holistically produced with certified organic ingredients — ingredients that are certified even by USDA approved certifying bodies. But – and now I am referring to the current discussion in the press – why do these products suddenly need to be approved by a third party? Are our products not already known for being of the highest quality and standard when it comes to natural ingredients? We use only the best herbal ingredients and we give extra care in the making of each and every product. And this is the way it has been for 40 years – we work every day to keep our standards high and our products pure and safe. Keeping it small is a good thing. Can a company have soul? 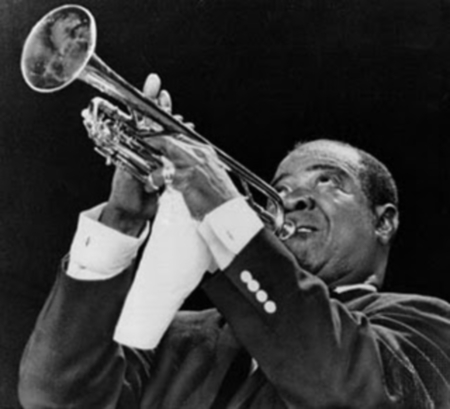 Louis Armstrong’s trumpet had soul, Ray Charles and Aretha Franklin’s music does, too. What made them great? As Aretha sang, they were worthy of “R-E-S-P-E-C-T!” It’s not just ‘soul music’ that I’m thinking about; it’s the creativity, the principles (compassion, honor, integrity) and the standards of excellence they strive for that give a person real ‘soul.’ Can a company have soul? I think it should! ‘Big Business’ with their giant manufacturing plants and industrial parks, Wall Street traders and global banks, governments and politicians – all those who consider “profit over people” seem soul-less. Look at the destruction, the pollution, the financial and political disasters of recent years, all caused by the “Big Guys.” Have lost their basic humanity? The planet is suffering from the greed of irresponsible corporations – that’s soul-less! That’s long been a fear for me – losing my soul. A company with real soul will never forget that is should be “people first” — those who use the products and the people who make them. It will hold itself responsible for their health and safety and satisfaction with the product. It just seems very wrong to me that so many companies make products with chemicals known to cause illness or trick people into thinking their hard-earned money goes to a good product or cause when it doesn’t. I refuse to buy from companies that are destroying rainforests or adding more smoke to the already polluted air. The world is starting to wake up to the destruction caused by these soul-less big businesses – I just hope we can survive! People first. 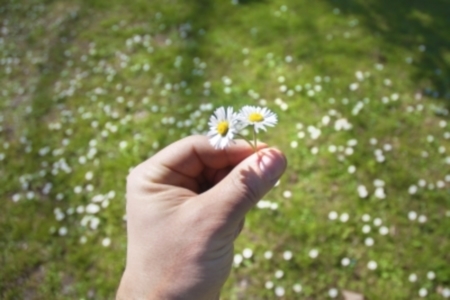 That starts inside the company – how are the employees treated? Is there real concern for their safety, health, welfare, happiness? And that flows to the community – are the employees able to support their families and keep local businesses afloat with their purchasing power? Is the company making a positive contribution of some kind to the neighborhood? Does that concern for people go beyond just donating some money to actually helping? And the care a company demonstrates for their customers world-wide – is the business really concerned for their health, safety, welfare and satisfaction? Do they consider the environmental impact of their productions? Are they responsible about use of resources, waste management, and most crucially, the potential for harm of a product? Soul in business also means integrity. That means not cutting corners, buying cheaper ingredients that are not as good quality, using inferior processes, not meeting basic standards because it’s expensive or inconvenient to do so. “Walking your talk” in other words, keeping principles and standards high even when that’s hard to do. Take for example, the new certified organic statements being created by several big cosmetic companies these days – and in an overwhelming manner. It is becoming more and more important for companies to communicate to their consumers what the company stands for. When it comes to being “certified organic,” they are creating a brand, a profile, or a certain image of the company in the mind of the consumers. It’s often hard to know with big businesses how well the image matches the reality – and here’s the deeper question, does that company have soul? They may have big promotional and advertising budgets to make claims to be “natural,” “organic,” or concerned for the environment, but is that just “jive talk” or is it real? We believe a company can have a soul. We can discuss whether a heart would be better for a company than a soul, but when all comes down to it, it is the consumers’ trust and faith in the integrity of the company and its products that counts. We wish to thank you for your trust in us. Good health is important to people in Hong Kong. Walk the streets and you’ll see hundreds of pharmacies with both Western and Chinese medicines, health food shops, vegetarian restaurants, and of course, Chinese herbal stores which sell famous Eastern remedies. 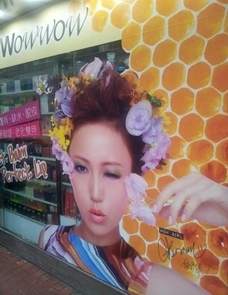 So – it is understandable that Paul Penders herbal beauty products sell well in Hong Kong! 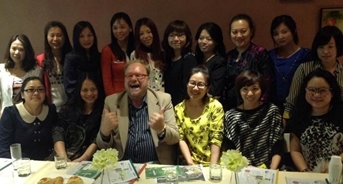 Some 30 women from different professions came out to welcome me during my most recent visit to HK. A number of them came from mainland China as well, even a reporter from a television station in north China. It seems there is a keen interest in what we offer. They also expressed their concerns about issues, especially piracy and animal tests. Under Hong Kong law, like in most countries of the world, the integrity and good name of our products are protected. Recently, however, we discovered fake PP products are being made in Hangzhou, China by a company I am not associated with. Apparently, piracy happens a lot in China but the good thing is that authorities more and more are shutting down factories which use cheap ingredients and rip off brand names and packaging. Of course, this intellectual property theft does hurt our image and our lawyers are at work on that – but in China, it is not always easy to fight these things. In Hong Kong, this would be impossible. Luckily, our HK friends recognize these pirated products are not the real and original Paul Penders products. Another issue we talked about in HK are the animal tests supposedly required by the Chinese government. Reportedly, China has suddenly changed its policy and all cosmetics need to undergo horrible animal tests to be approved for sale. Of course, our company, as a pioneer against animal testing (more than 30 years ago), will never, ever allow tests of our products on animals. We’d refrain from selling (the original) Paul Penders products in China if we were forced to do these tests. But so far, we have not come across that problem. Again, if so, we would immediately stop selling our products in China. We continue to greatly enjoy our stays in Hong Kong and also in China. I believe the Chinese market has an enormous future and will become one of the most lucrative and upscale. It is clear that Chinese government officials are hard at work streamlining guidelines and regulations. We can look forward to the day when unscrupulous people such as the company in Hangzhou will be prosecuted. It just takes time – meanwhile people in HK and China can always trust that the original Paul Penders natural herbal cosmetics made by us in the US and Malaysia (and soon in India) are fully and 100% guaranteed for authenticity and superior quality.